If you follow me at all on Pinterest, you will see that if I am not pinning things related to food, Christmas, or both, I am pinning articles about how to get a side-hustle going. People who make 6 figures blogging share their secrets, how to turn a profit on your Instagram account, become a freelance writer and rake in the cash, etc. It would be a dream come true to make a second income from a hobby business I can do after hours. It seems like short of that, Aaron and I will never save up enough to be home owners (anywhere in the city), get out from under a mountain of debt, and maybe sometime soon be able to have a child. So I researched and researched. I like blogging a lot. I have more than one blog so I can better find my niche, and harness my passions and all that. Nothing seems to stick. I get gung-ho, I have lists of potential blog posts I want to write. Then I just get sidetracked with life. Blogging is tough because the easiest things to write are just my thoughts exploding out of my head. But this is no way to turn a profit. I started blogging several years ago because I just like sharing my life and my thoughts through this medium. I don't want to be a slave to advertisers, staying 'on-brand', or sponsored opportunities. I just wanted to write about my wedding planning experience so I could look back and remember it all. But just churning out content day after day about nothing to an audience of not many is tiring and thankless. Perhaps I am just a victim of our instant gratification times, and why most bloggers just moved on to Instagram. The thing I am learning most is that if I want to make any money in the near future, I should have committed to the blog hustle YEARS AGO. If I start blogging and really crush it, maaaaybe I can have an income to speak of by 2019. I don't want to wait that long, and I don't want my time to be spent on a gamble. Because there are people who have been blogging non stop for 10+ years and don't have a whole lot to show for it in the income or audience department. So we are working on the family part, and getting my health in better shape will only make that easier. Then the townhouse, we need a down payment, and we need to get our monthly debt bills down to a more reasonable level. Long story short, we need more money coming in or this will take an eternity. We don't live hand to mouth or anything, but we are working with considerable student loan payments, an SUV car payment, and too many credit cards, and live in a pricey part of town. After all is paid we maybe have a few hundred dollars for fun or saving. It would take like over 5 years to save a $20K to put down, that is longer than I care to wait. So I got a part time job! Part-time job = money today, debt being paid off today, down payment being saved today. I obviously am not giving up blogging or anything, maybe in three years time it will be nice to have a second income to help pay off the giant mortgage and daycare costs! Thanks to my BFF Katrina for introducing me, I got the best part-time gig I can imagine. I am a runner with Favor! 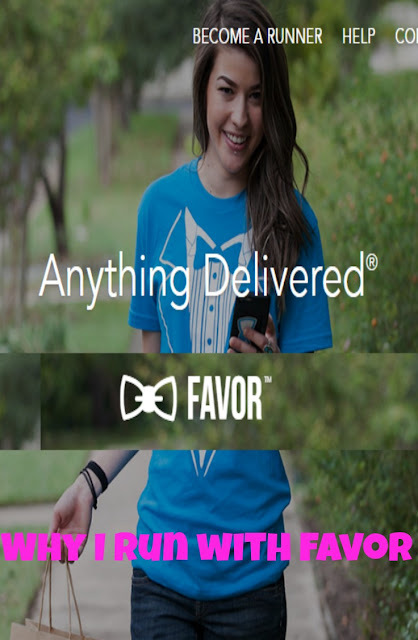 Favor is a phone app that gets you 'anything delivered'. You simply download the app on your phone, and there are lists of menus from local restaurants you can choose from, as well as an option to choose anything you want! The other awesome thing is that you can order literally anything (aside from people, alcohol, gift cards, or anything over like $300). I've been a runner for about 3 weeks now and in addition to food from all over town, I've been sent to buy someone's groceries at Whole Foods, I've been sent to buy jeans for a guy at Neiman Marcus (that was kinda weird), and I've delivered gourmet dog treats to someone's friend whose dog just had surgery. The options are endless though. If you are sick we can bring you Tylenol PM from Walgreens, we can go pick up your jacket you left at your friends house last night, anything! So Favor itself is cool, but being a runner is very cool as well! 1. It gets my large and lazy behind off the couch. It is not the same as doing cross fit or anything but I am off my couch and getting in and out of the car for a few hours, which seems like an activity upgrade at least a little. I stand while waiting on orders, I hustle up and down stairs in all these apartments. Plus it is HOT out there, so I get a good sweat going on in the afternoons. Also I am not snacking endlessly like I do when sitting on the couch. Wins all around. 2. It helps my nervousness. I am not a clinically diagnosed anxious person, but I know I deal with anxiety to some degree. I hate going new places by myself. I hate talking to strangers. I get scared driving around places I don't know well. This job has kind of pulled me out of the shell I was in and forces me to go to new places all the time, forces me to make phone calls into restaurants and communicate with restaurant people/ Favor customers. A profitable way to get behavioral therapy for the mildly anxious, lol. 3. I get to know my city. 4. I get to know a ton of new places to try. Since I am so much less nervous than before about going new places, orders from restaurants I have never been to are the highlights of my shift. I'm telling you, there are at least 15 restaurants I am eager to try now that I have been there with Favor. I either didn't know they existed before, or I thought they were more expensive or fancy than they actually turn out being. They might be a gross looking hole in the wall which smells AMAZING upon entry. It is very cool to feel in the know about all kinds of places around town. 5. You get to see how the other half lives. Included in Houston's Favor delivery area are the wealthiest neighborhoods in the city. In my lifetime I will never live in a home that costs multiple millions of dollars or have the penthouse of a skyscraper to call my own. If you can't befriend these people, delivering stuff to them is the next best thing, right? lol A glimpse into the doorway of a mansion, or taking a couple bubble teas into a highrise where the elevator opens right into someones home. It is pretty cool to at least see for a minute! 6. I work whenever I want. A gig economy job comes with flexibility, which is why they are so popular. Most Favor runners I know do this part time and work other jobs as their primary income. This is the best way to go about it because sometimes the hours get snatched up quickly and you don't get every shift you were hoping to get. 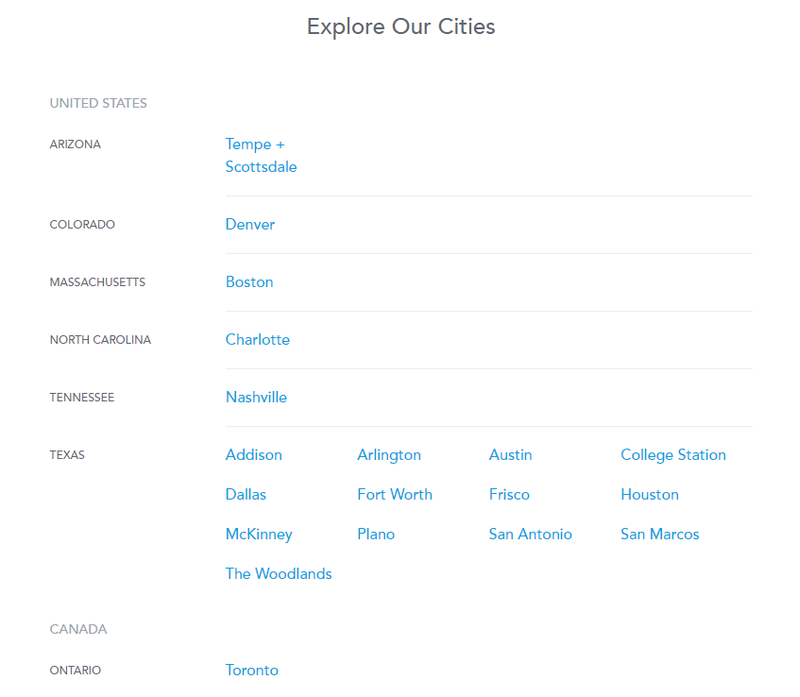 Each Thursday the schedule opens up for the Houston area, and you just select the hours you want to work. They only ask if you want to drop hours to give them 24 hours notice. I've seen people give 5 mins notice though, so you wont ever have to miss anything important in your life because you have to work. 7. The money is not bad at all. 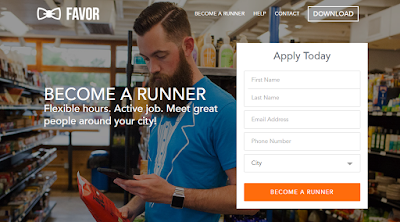 I was told that the average Houston runner makes $14 an hour. I don't think they pay that high at Papa Johns or the Target. I have been averaging between $15-16 an hour, so this is going even better than expected, which is nice. We are contractors which means no taxes get taken out of our pay, so I am sure to put aside about 20% of everything I earn, BUT you get to write off all your mileage from running around. I keep record of all that, which is sort of a pain, but will be well worth it at tax time. I had a goal of earning about $600 extra dollars a month after I put aside for taxes, but I am probably closer to $800 only working 16 hours a week. If I were to bust it a few more hours I could get $1000 a month. Plus you get paid every day. Customers have 48 hours to pay for their Favor but most pay right away, and then Favor direct deposit it into your account the next day. It is a lot more rewarding than hoping for a blog post to go viral! 8. It is fun and easy. I go to work, I come home, I make dinner, I watch TV, I go to bed. I am not leading a life of adventure here. Favor gets me out, earns me extra money, and it is easy and fun. The people are really nice and generous, the places I get to go are pretty cool, and the time flies by when I am running. This gig was the answer to a lot of prayers and the short term solution to a bright financial future for myself and my family. I hope you give Favor a chance either as a customer or as a runner! They are growing more and more each week, so if they aren't in your city yet, they might be soon! Go tell them on their Facebook page that you'd love to try them out when they get to Chicago, or Portland, or wherever you may be. If you use my code: NATAH2F you can get the delivery fee waived on your first Favor! If you have any questions, comment or shoot me an email and I'll be happy to try and answer them for you!